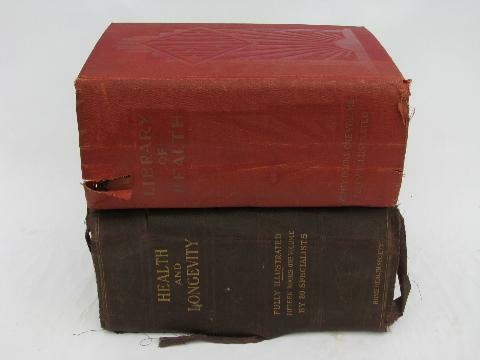 Two very old, very thick home health and medical books, both with really interesting color anatomy overlays, showing different layers under each cross-section flap lifted. 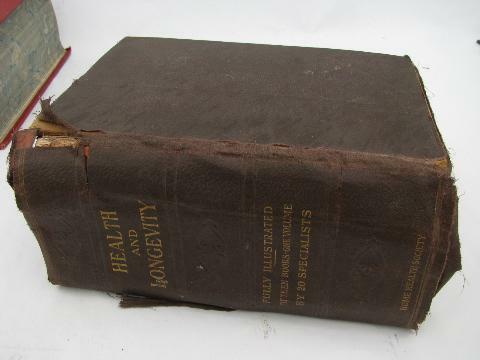 Health and Longevity, published by the Home Health Society, 1910. 1374 pages, plus index etc. This is rough, with worn, separated cover, loose pages at front and back of book, edge wear to the pages. 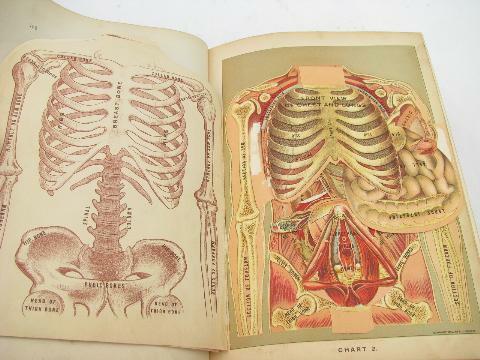 The die-cut flap fold anatomy views are dated 1901, and this has some lovely botanical prints of medicinal herbs, as well as weird photos of body builders! 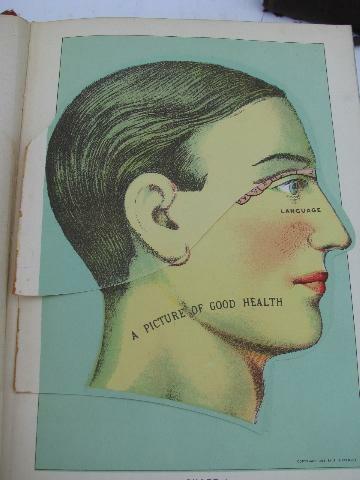 The Library of Health (20 books in one volume!) 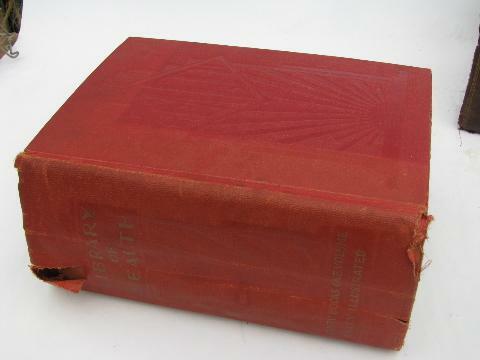 copyright 1927, this edition from 1945. 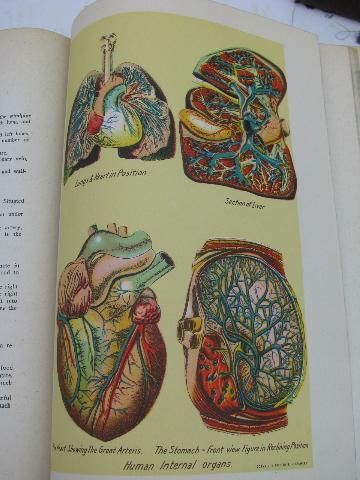 Some of the color litho flap fold illustrations are dated 1916, however, and look to have remained unchanged from the late Victorian or Edwardian period. 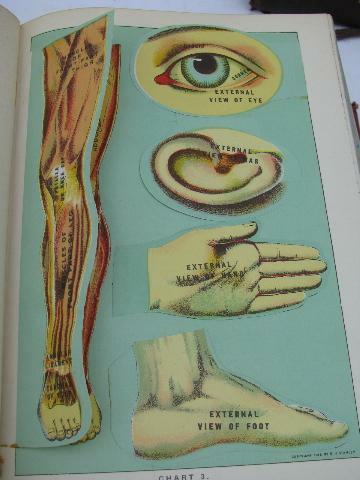 1777 pages, with good early photos, and many illustrations (some more body builders in this one). The cover is worn and loosening (this book is very heavy, which is partly responsible for the cover damage), but the pages look good, with some foxing, but not brittle. 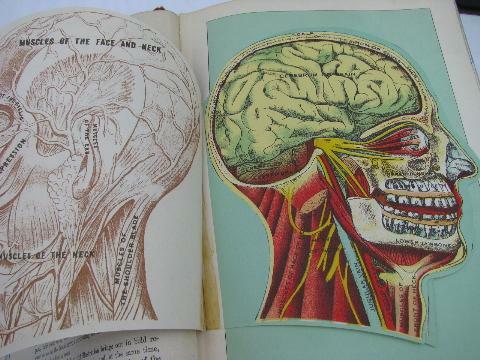 The glue has let go on some of the die-cut flaps on the anatomy litho plates.